Home › running › The belt on the treadmill goes round and round. The belt on the treadmill goes round and round. 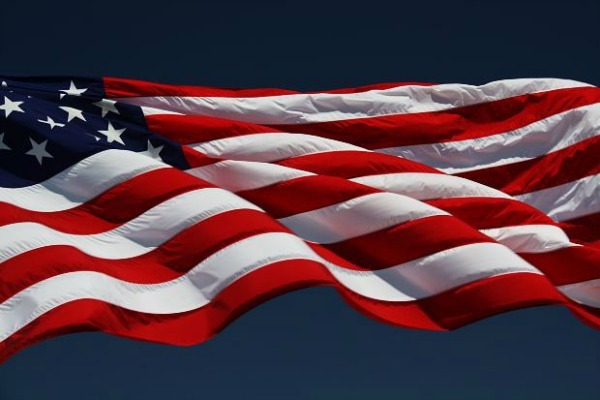 The first thing I want to say is thank you to all those who have served in the armed forces of the United States of America. Without your sacrifices, your risking of your life/limbs/sanity and missing countless family events that all of us take for granted – than we would not have the freedom to say we are the land of the free. Thank you. Thank you to our Vets, that risked losing all, in the belief that their country and its people were worth that risk. Now on to the running talk. My New-to-Me Treadmill! 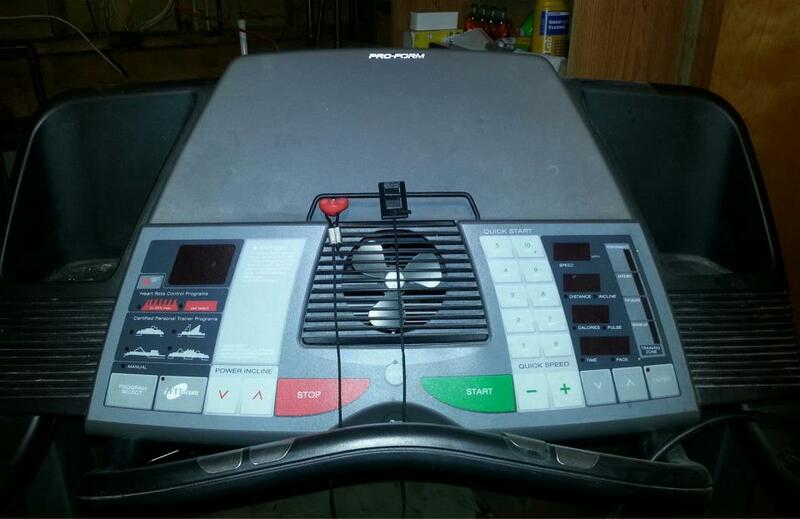 A Pro-Form 540s Treadmill! There have been many days of non-running that could have been days of running if I had a treadmill. Sometimes this has been due to the fact its to cold to motivate myself, other times it was more of a concern of not wanting to leave my children alone at home for the time it took for me to run 3 miles. With our move, I found a new home for my previous treadmill, as well as my total gym. As we didn’t’ know how much space we would have, but we new we were going to be severely down sizing in our move – it made sense to let the large items go elsewhere, and we would replace them if we had room. Well, I have been watching Craigslist and reading reviews of the various treadmills (listed from 100 bucks, to $2500) to see what I wanted. I of course found several in the several thousand range that I liked A LOT, but since we are still paying the various moving expenses keep popping up – so that’s not quite in the budget. 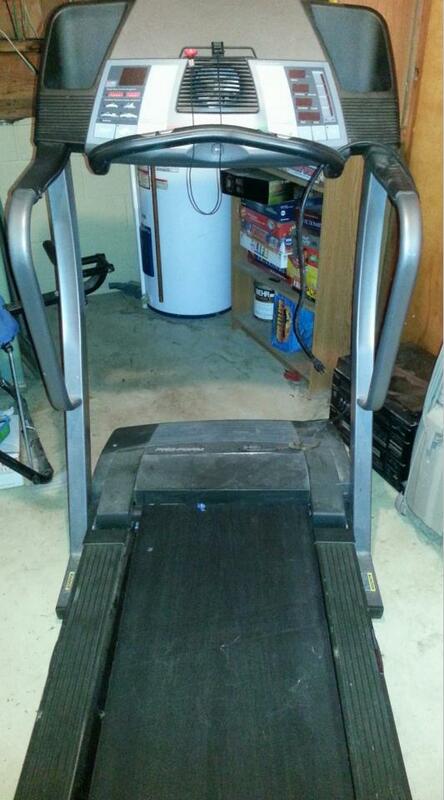 In addition to the forever popular Craigslist, we also have a Facebook page called “Bowie/Crofton online Yard sale.” As I have been watching these (almost obsessively), I saw when someone posted a treadmill for $50. IT didn’t have incredibly good reviews online, as many people reported it breaking down, but while it worked people enjoyed it. That fan? I guess it is there for appearances… I haven’t found a treadmill yet that the fan does much, but it seems like such a nice feature on paper. I figured for 50 bucks, I’d give it a shot. If it lasted a couple of months, I would have gotten my money’s worth. You would think that with 60 degree weather, I would have run outside yesterday, but as I had to go get the treadmill, then shopping (maybe I have that in the wrong order.. but its ok, my wife doesn’t read this so I don’t have to worry about being corrected! 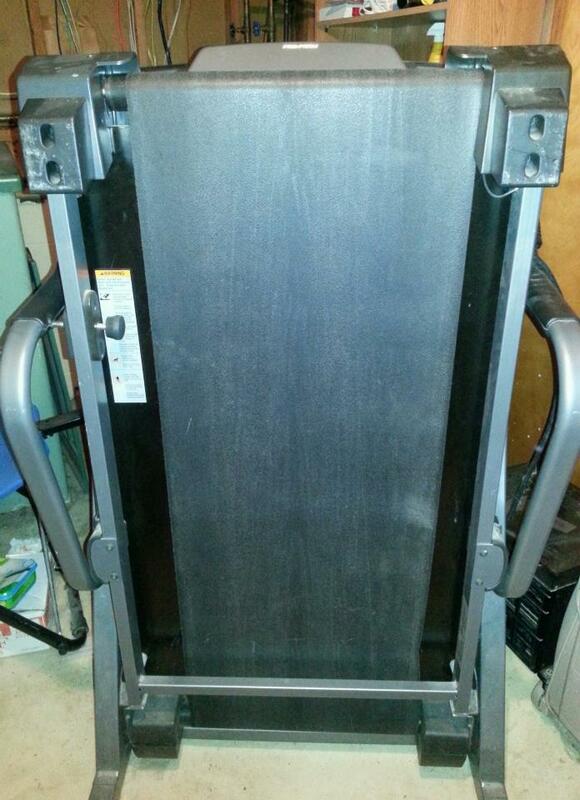 ), then had some house guests over (which involved eating way to much chinese food) – I wasn’t able to run until 9:00 at night, with a house full of kids (mine plus 3 more) and no other adults present (I sent my wife out with another woman’s husband to go see a movie) the treadmill was the perfect option! It is definitely different from my other one was. There is more “bounce” or cushioning to the deck. I’m not sure what I think about that. The motor is much quieter than my other one was, but it seems to want to make a louder “thud” when I run. I find that part to be a nice feature, as it really allows me to focus on landing softly – something that POSE, CHI and all barefoot running sites have stressed as being an important part of remaining injury free. And it folds up “small” for easy storage! The amazing part, is that despite the fact that a treadmill is usually boring endless tedium, the fact that I had a new toy completely overcame that. 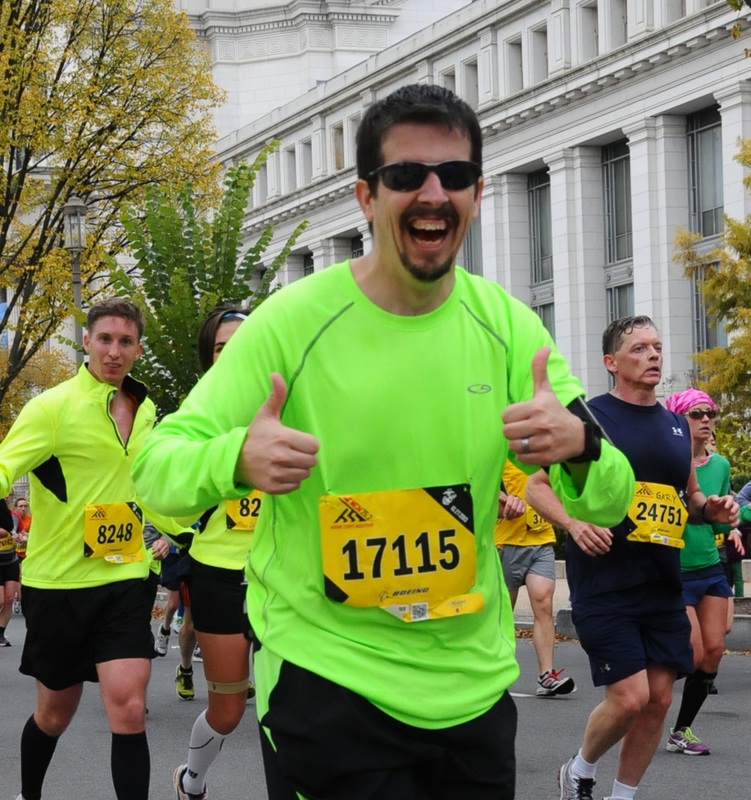 I ran 3.5 miles (30:06), followed by a 1/2 mile walking cool-down and I loved it. It is really, really nice to be back and enjoying running.